This month we have huge changes ahead! The energies surrounding our personal power and the circumstances in which this is playing out for us as a collective, and as individuals, is being highlighted now. It is time to throw off the chains that bind us to an old way of thinking, believing, or living, and move into a new and more empowered way! Let’s start by taking a look at the Universal Numerology Vibration of this month. August is a karmic 16/7 vibration. The number 16 is one of four karmic numbers that we pay attention to when doing numerology. This is an energy that brings huge external changes and transitions. We must have faith and trust during this time, going within to listen to our inner voice, when making decisions and taking actions that are best for us. This is about “Death and Rebirth”…..the destruction of the old to make way for something new and better. The old way, in your life and on this planet, is not working and it is time to replace it with an energy that is more functional and empowered! This time can be defined as a time of “Creative Chaos” and is related to the mythical Phoenix who throws himself into the fire to be engulfed and burned in the flames, only to rise again from the ashes born anew! 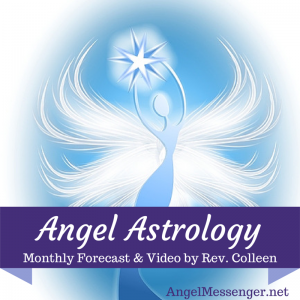 We start the month out astrologically on the heels of the July 31st Full Moon in Aquarius. This Full Moon was about freedom, independence, and humanitarian ideals. On the 1st of August, we have the Moon still in Aquarius, opposing Jupiter and Venus, the two benefics, and in a challenging aspect to Saturn, the Lord of Karma. We may feel a “push and pull” with the energies as we move into a more positive and expansive way of feeling or believing vs. situations in our lives that may be restrictive and dis-empowering. The most important energy of the month happens on August 2nd with Saturn, the Great Teacher and Task Master, turning back to direct motion at 28 degrees of Scorpio. He moved back into Scorpio in mid-June this year, after spending all of 2013 and 2014 in this deeply, intense sign of power & control, and death & rebirth. While in Scorpio Saturn has been attempting to “teach” us where we are feeling or acting dis-empowered in our lives…….rooting out old thoughts, ideas and belief systems within our psyche that are intending to keep us in a place of subservience to the negative ego-mind, and to systems and structures in our lives that keep us limited and held back from are authentic truth and expression. This energy is especially heightened and intensified as it stations and turns direct. Then, Saturn will move forward covering the last two degrees of the sign of Scorpio before moving into Sagittarius for good on September 18th. The same day of the stationing of Saturn, the planet Mercury, which rules the lower mind, is connecting with the Great Awakener, Uranus, which rules the Higher Mind. This can be a day of sudden inspirations, creative ideas, and Divine messages from the Universe, and those of other spiritual dimensions! On August 3rd, expansive Jupiter in Leo squares restrictive Saturn in Scorpio. We will feel challenged with our own internal belief systems of allowing ourselves to expand out and connect to the Blessings that the Universe wishes to provide us vs. allowing the continuation of dis-empowering circumstances and situations. Let yourself bask in the former energy…….being open and receptive in the creation of your dreams……anything and everything is possible if you believe! Venus “seals the deal” on August 4th by joining Jupiter……both benefics of astrology coming together provides a magical, “anything goes” kind of quality. Take advantage of this day by pursuing what you desire and what brings you pleasure and contentment. Also on the same day, the Moon in the initiating sign of Aries connects with Pluto, planet of transformation, and then joins Uranus in the early morning hours of the 5th (EDT). 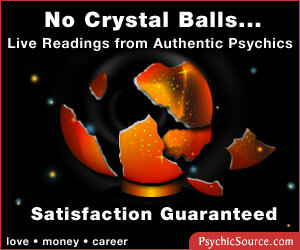 This can bring the beginning of a redirection of energies towards your goals and dreams. Later, on the 5th, Venus will be challenged by Saturn and causing us to doubt what we started as far as a new way of feeling and experiencing our reality. We may go through some unworthiness feelings and you may feel some frustration as we add the Moon square Mars to the mix. Stay balanced and centered in the possibilities of what can be, and move through these energies……it will pass in time as we also have a build-up of the energy of Mars positively connecting with Saturn to help bring focused movement and the potential manifestation of the next step on our Path. The planet Mercury is busy the next two days! This planet of thoughts, ideas and communications, joins together with Venus in Leo, challenges Saturn in Scorpio, and then meets up with Jupiter in Leo, all before moving into the sign of Virgo on August 7th. This is about a mental tug-of-war that we seem to be going through…….again, doubting what can be…….negating the positive developments that may be occurring. Instead, expand into the good of what IS happening or the potential of what CAN happen! You may receive some positive messages that is going to help you further your goals and ambitions……release the fears and anxieties and move forward with confidence! As Mercury moves into Virgo it will be time to focus on the details, organize and pay attention to all the ground that needs to be covered and/or the next steps to take. On August 8th the Gemini Moon will challenge Mercury and then Neptune so our thoughts may be chaotic and all over the place. It may be difficult to stay grounded as many energies are swirling about on the metal plane. Later the same day Mars, planet of action, moves into the sign of Leo. We have a Fire planet in a fire sign now so it is “Ready, Set, Go!” It’s time to move forward with our plans and ideas! Jupiter moves into earthy Virgo on August 11th. This is an interesting energy. Jupiter is the planet of expanding out into the BIG picture, and the sign of Virgo is more conservative in its energy. This may go one of two ways. We may have a see-saw effect of expansion and contraction, or positive and not so positive beliefs and perceptions……….or, we may have sight of what the BIG picture is and what our long term goals are, and are able to concentrate on the details and the steps that we need to take in order to get there. Let’s choose the second option! Also on August 11th the Moon in Cancer is connecting with Pluto and Uranus, bringing a transformation with our emotions and feelings within ourselves and with other relationships in our lives. On August 12th Mercury opposes Neptune. Mercury wants to be analytical in the sign of Virgo, but Piscean Neptune says you may have to give in to, or at least blend, the logical mind with your intuition. The Sun in Leo positively aspects Uranus in Aries on the 13th, bringing in surprises, heightened confidence, and a sense of our individuality. This will be a great time to be creative, leadership oriented, and take charge of your life! We have a New Moon at 21 degrees Leo on August 14th! New moons are about new beginnings and this one has a lot of positive energy surrounding it! In the days following this lunation, between the 15th and 19th, we have the Sun and beautiful Venus coming together, Mercury positively connecting with Pluto, and then Venus creating a beneficial aspect to Uranus! Let the Light of the Universe shine upon your intentions now and use your focused thoughts as a manifestation tool to create your own reality! On August 21st we may feel restricted or limited in our positive expression when the Sun squares Saturn in Scorpio. There could be some potential authority issues with others. Be sure that you are standing in your authentic truth and own your own power with confidence. The Sun will leave the fiery energy of Leo behind, as it moves into grounded earth sign Virgo on August 23rd. We are shifting into an energy of being more logical and analytical now with both the Sun and Mercury here. We will be organizing our thoughts, being more subdued with our communications, and making practical decisions in the circumstances of our lives. Over the next three days the Sun edges ever closer to a conjunction with the planet Jupiter, now in Virgo. By August 26th we will have sorted out some details in our lives and taken some practical steps towards what seems logical. On August 27th Mercury shifts again……..moving out of detail oriented Virgo and into the sign of Libra. Libra is an Air sign and rules balance, harmony, fairness and equality…….this is the Scales of Justice! Communication with others is highlighted, as is, give and take and compromise within partnerships and relationships. We end the month of August with the Full Moon at 6 degrees Pisces. This lunation occurs on the 29th and within two days the Sun involved in the lunation opposes Neptune in Pisces. This is going to be a time where we must have trust and faith in the Higher Spiritual Energies that are operating in our lives…….that we are being led in the right direction, and that everything is unfolding for us in the Divine Timing of the Universe. We also must mention that during the month of August, Venus who rules love and partnerships, as well as money and finances, retrogrades from the 29th degree of Leo back to the 14th degree of Leo where she starts to station before moving back to direct motion on September 6th. During this retrograde cycle she is reviewing all aspects related to what she rules. As far as what this means in relationship matters, Venus is going within to understand on a deeper level what she truly desires and values in partnerships (or any relationship). She is searching within as far as what she feels she is worthy and deserving of, and if there are any areas where she is not getting what she desires. She will then decide what steps she needs to take to move forward. I would also like to add that Venus retrograde is approaching a connection with Mars in Leo as well. It isn’t actually exact until the very early hours (EDT) on September 1st but wanted to mention it here as it will be active and felt the last couple of days in August. Venus is the Feminine Principle and Mars is the Masculine Principle, and this coming together focuses on the balancing of energies between the two. This may be about meeting someone new, or working out energies in an existing relationship. There is a strong potential of coming together physically, emotionally, mentally and spiritually at this time. The Angels first message is one regarding your thoughts. This is a month where it is very important to stay focused in a positive way on what you desire to bring into manifestation in your life. Because this month may be filled with a death & rebirth kind of energy, the angels are asking that you spend more time in contemplation, meditation and prayer, connecting with Spirit and staying in a place of balance. Find a special place where you can be alone, indoors or outdoors, and connecting to your Inner Self and your guides and angels guidance. Again, the angels are saying that this month can be a huge re-direction and transition towards the unfolding of positive events in our lives, if we STAY positive and focused on only the most beneficial outcomes. If we do this, we can create many Blessings that will soon start to manifest. The other message is about partnerships. Your guides and angels are assisting you with all of your relationships right now. They are sharing that some of you have been in relationships that are unbalanced, or not equal in some way. Or, some of you that are single are dealing with old patterns and belief systems regarding relationships. They ask that you understand that this is an opportunity to heal some old family, ancestral, or past life karmic issues. Allow that knowledge and healing to take place within you, and between you and your loved ones. If in a relationship, take some time with each other, either away on a trip or vacation, or in the comfort of your own surroundings, and have open and honest communications with one another. Open up your heart and become vulnerable and soulful in this sharing with each other. 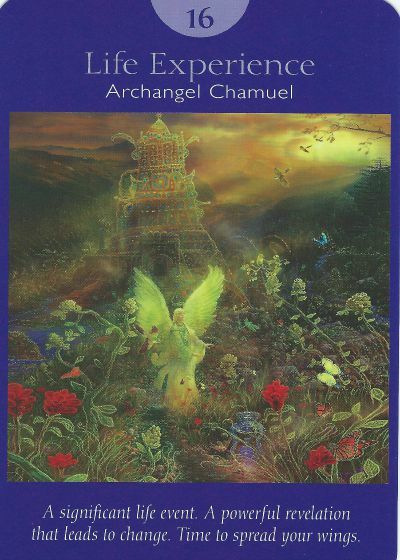 Your angels ask that you make this effort to rebalance the energies for yourselves and for each other. They are saying that great love is worth taking the steps that you are guided to take!